While the Obama administration publicly claimed it was seeking to avoid bankruptcy filings by Chrysler and General Motors, behind the scenes the White House was determined to throw the two Detroit automakers into the bankruptcy courts. Documents filed with the US Bankruptcy Court for the Southern District of New York make it clear that Obama’s Auto Task Force—headed by millionaire private equity manager Steven Rattner—had decided as early as Inauguration Day that a court-ordered restructuring of GM and Chrysler was needed. The administration saw this as the most effective means for the companies to jettison unprofitable factories, brands and dealerships, gut the jobs and living standards of current auto workers and escape obligations owed to hundreds of thousands of retirees. In the aftermath of the two bankruptcy declarations, both GM and Chrysler have announced nearly two dozen plant closings, massive layoffs and the elimination of more than 3,000 car dealerships. Under the terms of Section 363 of the Bankruptcy Code, the two automakers’ most profitable assets are being sold to “new” auto companies. This legal fiction will allow them to sidestep state laws protecting dealerships from the violation of franchise agreements and other legal liabilities, including court cases involving unsafe vehicle claims and asbestos exposure. These liabilities, along with other assets deemed to be unprofitable will languish in the courts for years until they are wound down and liquidated. In the case of GM, the US Treasury will take a controlling share of the new company in exchange for nearly $50 billion in public assets. President Obama has made it clear the government will not interfere with the prerogatives and interests of private investors and will leave it to a corporate board, made up of proven cost-cutters, to return the company to profitability. The government plan involves handing the company—once it is reduced to a fraction of its size and freed from the “legacy costs” of decent wages and retiree benefits—to private investors as soon as possible, at a bargain basement price. This is why Wall Street celebrated the GM bankruptcy last week with a 221-point rally on the New York stock exchange. Obama’s Auto Task Force has focused on one thing from the beginning: how to exploit the crisis of the auto industry to create conditions for Wall Street to reap huge profits. Its leading figures—Secretary Treasurer Timothy Geithner and White House economic advisor Lawrence Summers—played a key role in the Wall Street bailout, opposing the slightest restrictions on compensation paid to banking executives receiving public money. When it has come to the auto industry, however, they have demanded the most brutal job cuts and wage and benefit concessions from auto workers. Task force advisors include Wall Street investors Rattner and Ron Bloom. Another advisor, Brian Deese, was described in a recent New York Times article, entitled, “The 31-Year-Old in Charge of Dismantling G.M.” The “not-so-graduate of Yale” who “never set foot in an auto plant” until this year has pushed for a court restructuring of the two auto makers from the earliest days of the Obama administration. In late March the Obama administration would fire Wagoner—who continued to oppose bankruptcy—and made it clear it would withhold any additional funding unless the company imposed far more “painful” cuts than outlined in its initial plan. That plan called for the elimination of 47,000 jobs worldwide, including 21,000 hourly workers in the US. Despite its claims to the contrary, the administration was putting its plans into motion for the forced bankruptcy of Chrysler on April 30 and the century-old GM on June 1. In his affidavit to the bankruptcy court, Frederick Henderson, who took over from Wagoner as GM’s CEO, made it clear the government left GM no choice but to file for bankruptcy. 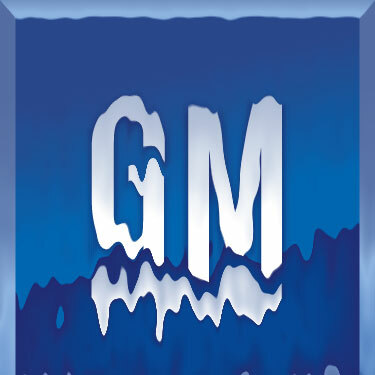 In the months leading up to the bankruptcy filing, GM had sought desperately to raise cash, cut costs and seek a potential partner. This was taking place in the face of what Henderson said were deteriorating economic conditions, “which can only be described as the worst economic downturn and credit market environment since the Great Depression,” including a fall in per capita vehicle sales to the lowest levels in half a century. Rattner, too, has no knowledge or experience in the auto industry. His major qualifications seem to be his Wall Street connections and an aptitude for raising millions on behalf of the Democratic National Committee, an accomplishment which has earned him the moniker of the “ATM of the DNC.” Rattner, whose net worth is estimated at $600 million, owns a Fifth Avenue apartment in Manhattan, a private jet and horse farm. This is the man who has demanded that retired auto workers and their dependents go without dental care and optical benefits. The forced bankruptcies and dismantling of GM and Chrysler demonstrate the massive influence Wall Street exerts over economic and political life in the US generally and the Obama administration in particular. While the White House officials lambasted auto executives for poor economic decision-making and made any government assistance contingent on massive givebacks from workers, they have treated the financial masters of the universe with nothing but deference, and handed them trillions in public cash. The outcome of the dismantling of the auto industry will mean that the industrial base of the US will shrink even more and the economy will be further dominated by the type of reckless and socially destructive speculation that is responsible for the worst economic and social crisis since the 1930s.